Liam McGuire is one of six investigators on a federally funded award to study white-nose syndrome, which has killed millions of bats in the last decade. A Texas Tech University professor is part of a $2.5 million Department of Defense-funded research project looking at a new disease that is killing bats at alarming rates. 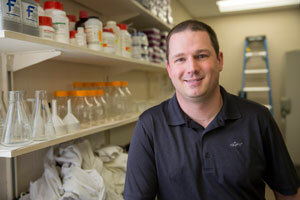 Liam McGuire, an assistant professor in the Department of Biological Sciences, is working with five other researchers from the United States, Canada and New Zealand to research the spread of white-nose syndrome, a fungal disease that has killed millions of bats in North America since its discovery outside of Albany, New York in 2006. The four-year award is from the Strategic Environmental Research and Development Program (SERDP), the Department of Defense's environmental science and technology program executed in partnership with the Department of Energy and the Environmental Protection Agency. The award, which spans four years, will be led by Sarah Olson with the Wildlife Conservation Society (WCS). The other researchers are Raina Plowright from Montana State University, David Hayman from Massey University, Brett Dickson with Conservation Science Partners and Cori Lausen from WCS-Canada. The researchers will create a model that helps them understand which bat species may survive the disease and in what environments, which will allow for targeted potential interventions at the critical points and, they hope, keep these nocturnal mammals from going extinct in affected parts of the country, including Texas, home to millions of bats. "They're a major player in whatever ecosystem they're in," McGuire said. "An ecosystem is probably going to be quite different if all the bats die out." 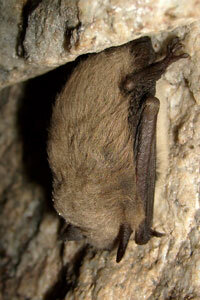 Bats also have economic value, particularly in agricultural areas, where they play a major role in insect control. 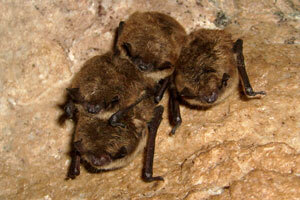 White-nose syndrome essentially causes bats to starve to death during hibernation. Before bats hibernate, they build up their fat stores, then go underground and drop their body temperature to match the air around them. They expend almost no energy while cold but use significant energy to warm up. The disease causes the bats to arouse more frequently during the winter, resulting in the depletion of the animals' fat stores. Ultimately, the animals run out of energy waiting for warmer weather to arrive. The fungus likely was introduced to the United States from Europe, where it has been found, but bats don't get the disease and die, McGuire said. They seem to have co-evolved to live with the fungus. 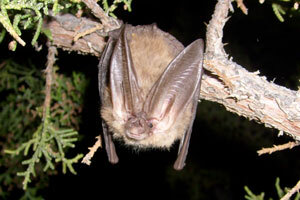 Because it is so new on this continent, North American bats have not adapted, with devastating effects. The U.S. Fish and Wildlife Service recently listed the northern long-eared bat on its threatened list, with several others being suggested for the list, and Canada has added three bat species to its endangered list, all because of white-nose syndrome. The fungus spread across the east in spurts as bats moved from cave to cave, eventually getting as far west as eastern Nebraska and Minnesota. In March hikers outside of Seattle found a bat with white-nose syndrome, which created a greater sense of urgency for this research. "This is a particularly catastrophic wildlife pathogen," said Olson, the principal investigator on the award. 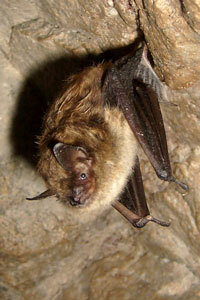 "We know it causes high mortality in eastern bats. As a fungal pathogen, once it arrives in the West it will likely remain in the environment and impact bats indefinitely." In addition to examining what factors may help bats survive the disease, researchers will look at the role of climate change and whether altered winters can play a role in the disease's effects. They will examine five different species in different areas of the western United States to get the most representative data possible.